Now the glu-up process begins. Each piece has two alignment holes drilled near each end. 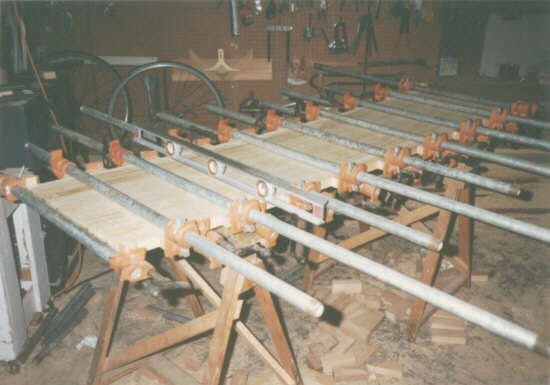 Inserting small pegs, these are used to position the pieces while clamping. Only a few are glued at a time, into 4 or 5 piece sections. 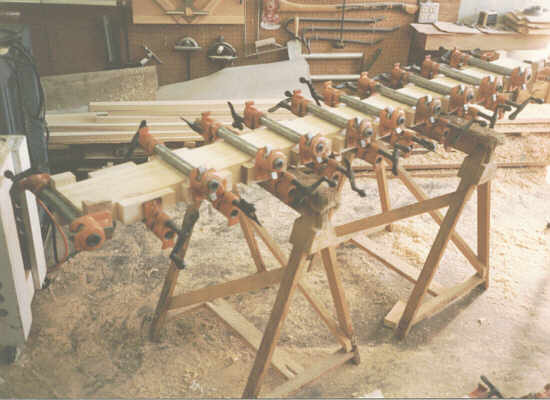 Then, after they're dry, each section is glued together into one large piece as shown below. This is the fully glued-up top. Notice the level being used as a staight edge to make sure no bowing is occuring.